Undoubtedly, employees can change the fate of an entire company. They can turn a small business venture with a unique idea into a successful high-scale business. They are either the troubleshooters or the troublemakers. Top-quality employees are capable of bringing positive improvements to a business under the supervision and pro-active direction of the entrepreneur. Due to an increased turnover percentage in recent times, recruiting and hiring top-quality employees for a new business has become challenging. Now, Human Resource departments have to work days and nights to hire competent employees to get things moving in the right direction. Bringing the right people into a new company is extremely important in today’s highly competitive business environment. As the resources are limited, companies cannot afford to spend money on retaining under-performing employees. Therefore, HR has become more conscious than ever to recruit and hire top-quality employees so that their company can achieve their strategic goals seamlessly. There’s certainly no secret spell to recruiting and hiring quality employees. All that you can do is refine the existing recruiting and hiring strategies. Attracting a potential pool of candidates for final selections may seem hard at first. 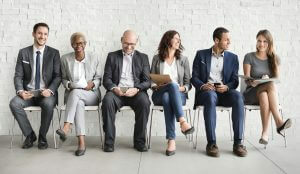 However, there are ways that you can encourage potential candidates to get connected with you for initial screenings. Since employment opportunities have significantly shrunk due to a severe wave of economic crises over the years, now you can access more suitable candidates who are ready to give your new business start-up an all new hike. Here are four tips that can guide you in hiring top-quality employees for your new business start-up. Job descriptions help employees know their tasks and responsibilities on the job. It gives a clear picture of what employees need to do and their roles to get different tasks done. Therefore, as an HR manager, you are required to ensure that an effective job description for each position is drafted at the highest possible level. The job description should reflect the roles that each employee will play in the organization on a successful hire. Start-ups usually lack the skills to draft effective job descriptions. This activity can even be outsourced. We encourage you to develop profiles for hiring the ideal employees fit for the key positions in your business. Giving a leadership level position to an inexperienced person is the biggest blunder you could possibly make. Before giving someone a key position, you must identify the skills and attributes of a person and make a wise judgment if you expect to achieve positive results. One thing that must always be kept in the mind is that you can never find a true match if you don’t match candidates against a specific profile. In order to develop a winning pool of candidates, you need to develop a marketing framework for job promotions. Social media channels, like LinkedIn, are the biggest and most effective platforms where you can find competitive employees working in key positions in different organizations. You can promote job openings for your start-up, perhaps with the specific job description and pay-scale limit, in order to entice competitive employees. Recruiting and hiring top-quality employees requires you to be competitive, capable, compatible, committed, cultured and, most importantly, flexible. If someone has all of these things, you shouldn’t miss out on hiring that person, even if you have to pay a little extra. Initial screening is critical, especially if your business is a new start-up. This way, you get to know more about the applicants and who is best-qualified for the next phase. This will save a tremendous amount of time. Once you have screened the applicants by phone and chosen the ones qualified enough to move on, you can bring them in for a face-to-face interview. The applicants have to pass through all of the stages for a successful organic hire.